Series points are awarded for every race and accumulated during the year to determine the series champion in each age group at the season finale in October. 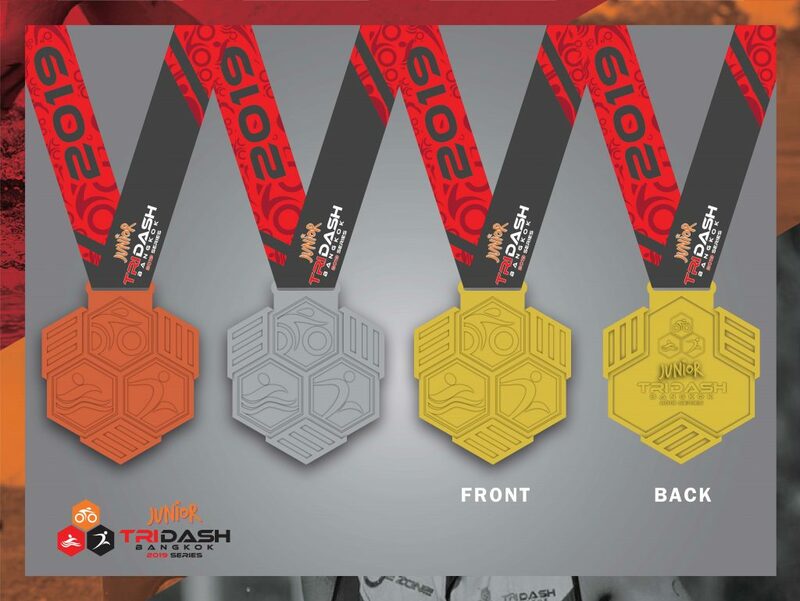 There are also finisher medals but with a twist. Finish your first race and get a bronze medal. Finish all 5 races and get a prestigious gold medal. 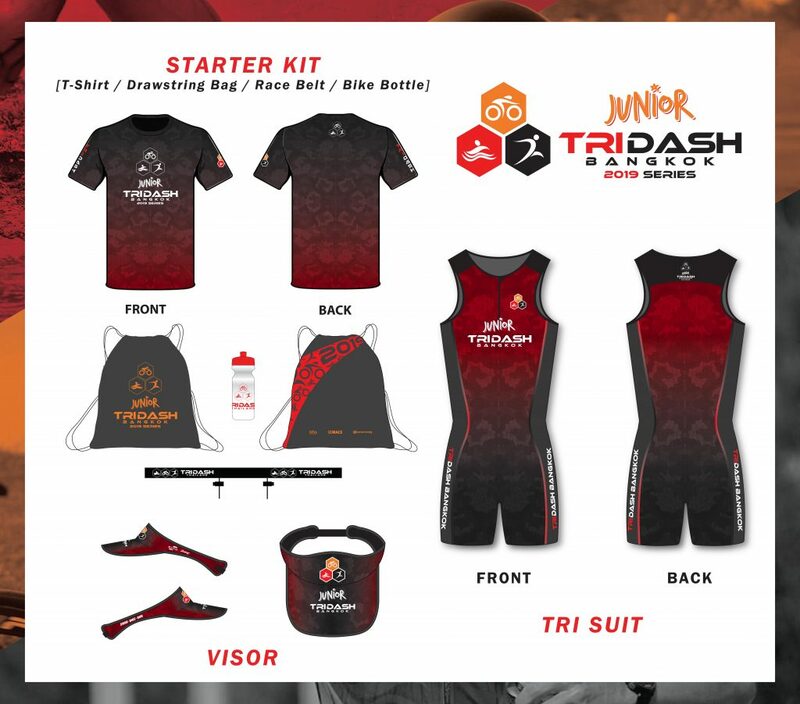 Tri Dash tri suits and visors are also for sale online during registration. Registered athletes can always log back into your account to make the order. 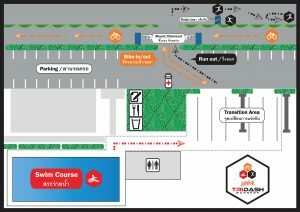 You can pick up your purchases onsite at your next race. 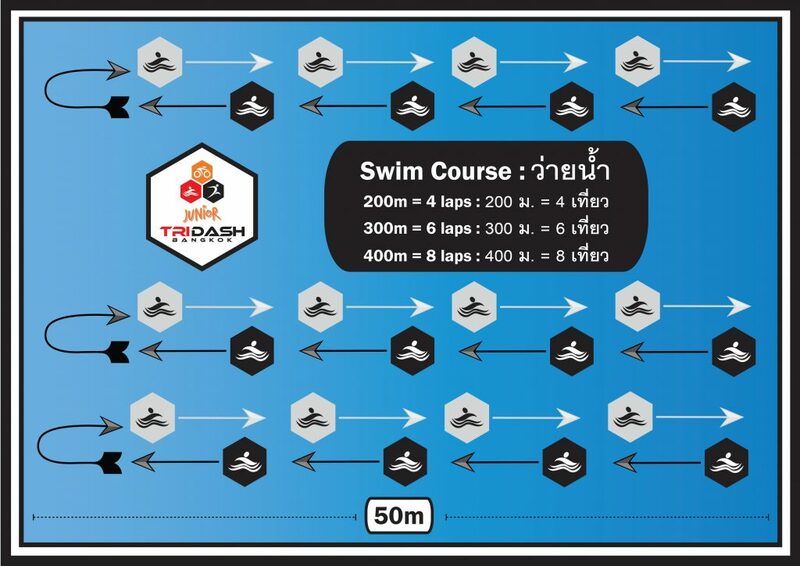 The swim is done in a 50-meter pool and participants with similar swimming ability are set off in groups. 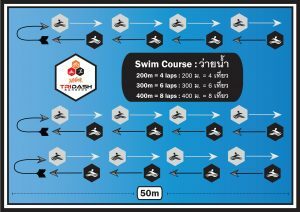 The pool is shallow for the whole length so if an athlete is not a great swimmer they can walk sections of the swim. The bike is on a closed road around the golf course so there is very little chance of cars and motorbikes. 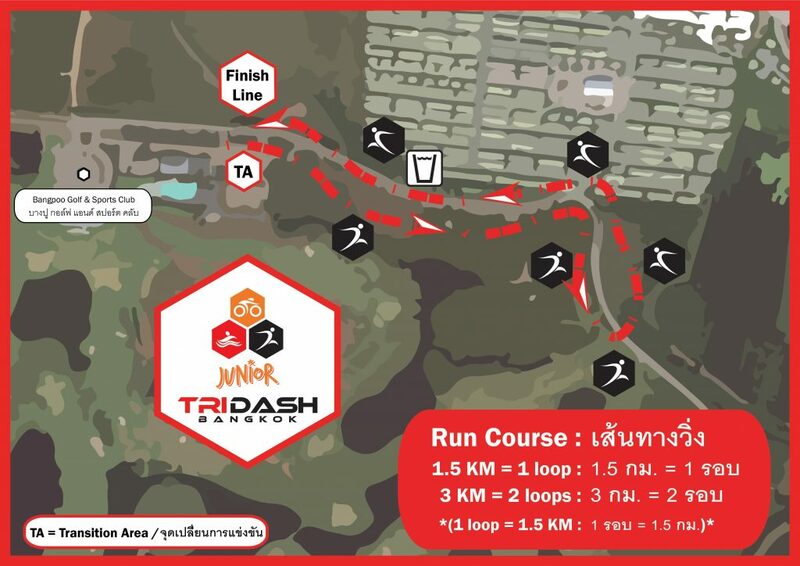 The run is an out and back on the same road as the bike course. 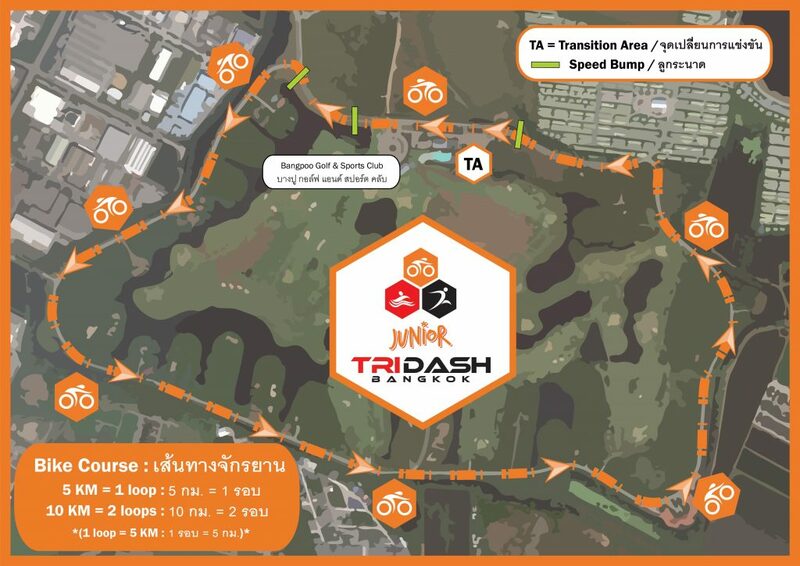 Parents and supporters will not be allowed in the transition area and no outside assistance by parents or supporters will be permitted during the race. Violation of these rules will lead to disqualification of the athlete. 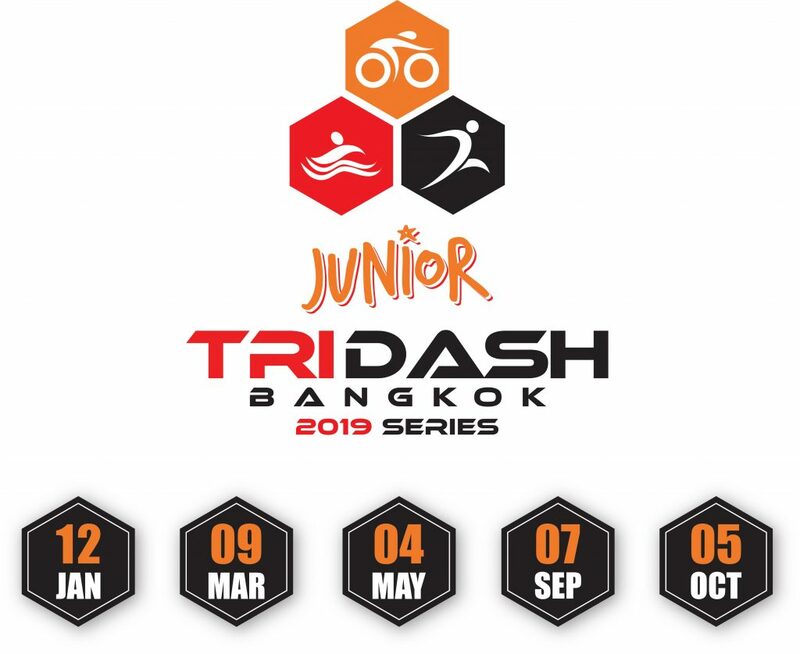 We have been involved in many junior races over the past years in different roles and we know that the juniors are perfectly capable of organizing themselves without the assistance of their parents. 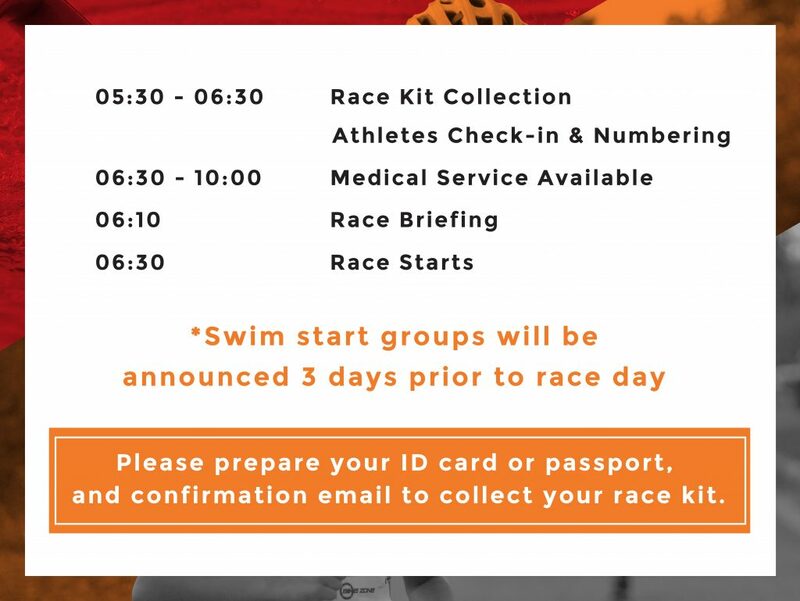 Our staff will be available on site to assist junior athletes with questions and there will be pre-race announcements and the mandatory race briefing prior to the start as well. 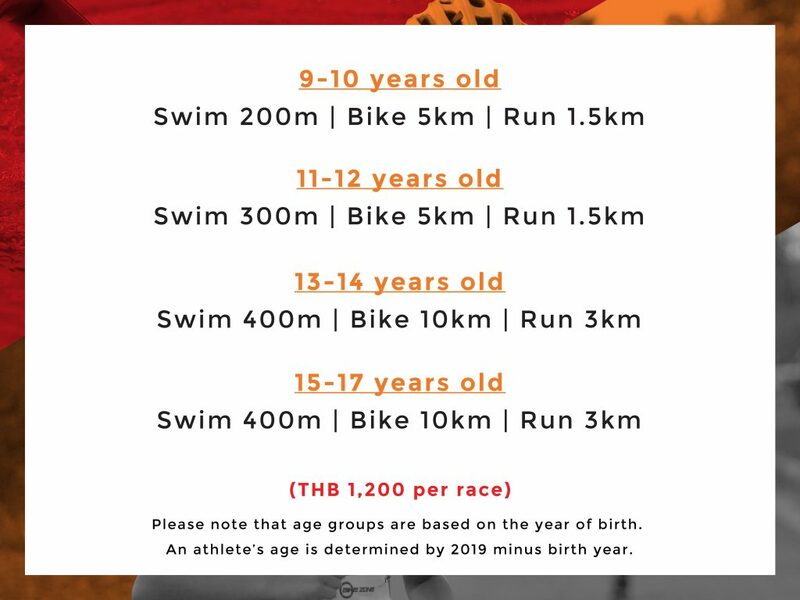 We encourage you to cheer on your children during the race and help contribute to the positive and relaxed atmosphere that the Tri Dash Bangkok Series has become known for. Athletes race at their own risk. Athletes must be medically fit to race. Athletes must prepare own water for their bikes. Athletes must sign a waiver form before racing. Athletes must wear their race number and be marked on their arms and legs. 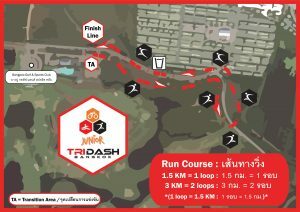 Race briefing: Attendance is compulsory. 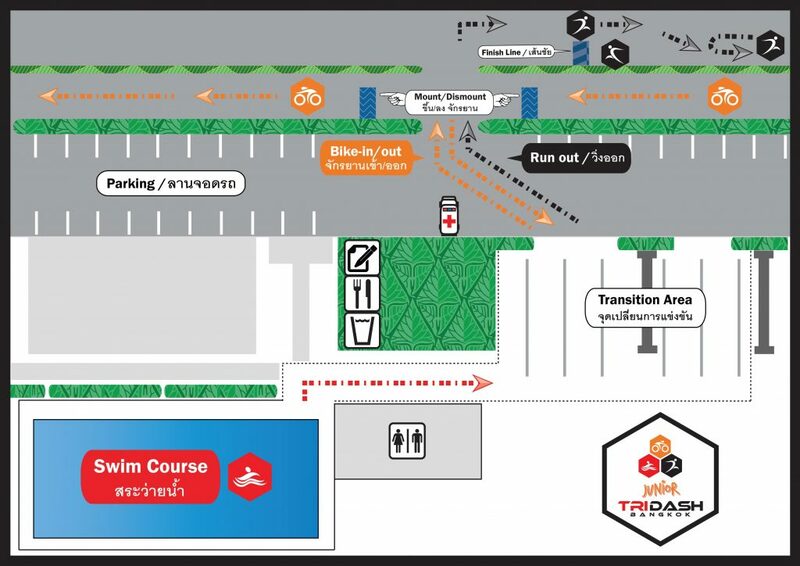 Athletes should not leave any valuables in their bags at the transition area. The race organizers do not take responsibility for lost items. Athletes must keep in the correct swim lane.